1. Implications of decisions made today: As stated by Greve & Man (2017), there are three stages of the merger when two organisations merge together, first one acknowledges and acceptance phase before the merger, transition phase just after the merger and lastly, gestation phase. Two key leaders of two different organisations must not take the haphazard decisions. Haphazard approach symptoms are the lack of merger strategy which may articulate the lack of a strategic goal. There is a lack of decision criteria to measure the degree about the potential target organisations. The key leaders of both organisations take the siloed decision which may exclude key perspectives from within the firms which may foster the sense of distrust between two senior leaders. Therefore, after the merger, the leaders need to take the decision in fact-based, not on the assumptions. Governance Board can be made by the two leaders and the role of the board would be the set and maintain the strategy and policy of the organisation. The Board can also approve the merger procedures and process. The organisation must have the resources and resolve the issue arising from the merger. DeWaal and BioHealth both need to under their respective financial measures, intellectual property, human capital and technology brands and the synergies. Therefore, the decisions must be taken by the two leaders based on the facts fast and not performing the delay. 2. Bring in outside help: Two key leaders of DeWaal and BioHealth can opt to take the outside help in order to solve the problems of making the employees redundant. First of all, the leaders can take help of the lawyers to know the process of making the people redundant. Second, the leaders of the organisation can take the help of talent assessment technique so that the leaders can understand who the better performers are. The leaders can provide the gestation period to the employees after the merger and the leaders can ask the HR professionals to take the talent assessment. 3. Change the behaviour: During the transition period after the merger, the leaders need to check the employees' ‘all about me' attitude and the employees must be asked to be open to all culture. The merger brings two different cultures, work habit and workplace norms into one single whole. Therefore, changing the needed behaviour for the employees is very much needed and the leaders should propagate the team working (Brueller, Carmelli & Markman, 2018). In the transition period, the leaders should as the employees to take the responsibilities in their daily work. 4. Training on cultural assimilation: Steve and Kaspar both should ask the employees to take the training for improving cultural competence. Cultural competence means an ability to effectively interact with employees of different cultures (Durand, 2016). With the amalgamation of different cultures both European and American, it would become imperative for the employees to have some form of cultural assimilation training. 5. Fair recruitment: After the merger, both the leaders need to take the fair recruitment policy for recruiting more potential employees. Employees from both the organisations are already there, fair recruitment policy will help to recruit right employees. The leaders need to draw the seniority list so that they can retain those employees. The Netherlands and The USA are two countries from which both the organisations belong. Hofstede cultural dimensions provide an understanding of the cross-cultural communication. Hofstede describes the effects of society’s culture on the organisation (Mazanec et al., 2015). The Netherlands scores low on the power distance dimension as Dutch people believe in to be independent, equal rights, superior accessible and the management facilities with empowerment. In Individualism, Netherlands scores higher than the USA as the Netherlands has a loosely-knit social framework. Employer and employee relation in the Netherlands has a mutual advantage. USA employees would not tolerate the unorthodox behaviour in the workplace where time is only money. Steve and Kaspar both have to understand the needs of the employees on the values of the members. The leaders and the HR professionals need to pay the value on the employees and these values may relate to the behaviour using the structure derived from the factor analysis. BioHealth and DeWaal have been facing the issue of inefficient management where both leaders cannot understand the recruitment policy. Inefficient management theory is similar to the managerial efficiency; both the companies, in this case, belong to the same field. In addition, management control is always not possible to manage the asset efficiently; however, mergers can be done with the necessary supply of managerial capabilities. Kaspar is not competent enough to understand the role of the employees after the merging. The leaders within the organisations show the incompetent in the complete sense (Waring, 2016). After the merger, the organisational leaders and the HR professionals of the organisation need to understand the synergy. As stated by Waring (2016), synergy means to the type of reactions which occur when two different factors combine to create greater effect together than that sum of the two independent operations. Therefore, BioHealth and DeWaal need to combine their synergies so that they can be more profitable in an individual case. The companies have to create great shareholders' value so that they can use the synergies. BioHealth and DeWaal can use mainly two types of synergies which are operating synergy and the financial synergy. It has been noted that after the merger, DeWaal and BioHelath organisations face the issues of integration of the merger between these two companies. The first conflict comes in the reduction of the top management in the merger from 120 to 65. In addition, Kaspar and Steve cannot decide whether they let the employees go or keep them within the organisation. BioHealth has been facing the issue of leading brokerage which is degrading stock from buy to hold. The organisations have been facing the issue of dealing with merged Research & Development and potential plant closure is the sensitivity issue. Therefore, solving the problem comes from the cultural assimilation from both organisations’ employees, employee relation behaviour, training and the fair recruitment policy. 1. Mazanec, J.A., Crotts, J.C., Gursoy, D. & Lu, L., (2015). Homogeneity versus heterogeneity of cultural values: An item-response theoretical approach applying Hofstede's cultural dimensions in a single nation. Tourism Management, 48, 299-304. 2. Greve, H.R. & Man Zhang, C., (2017). Institutional logics and power sources: Merger and acquisition decisions. Academy of Management Journal, 60(2), 671-694. 3. Brueller, N.N., Carmeli, A. & Markman, G.D., (2018). Linking merger and acquisition strategies to postmerger integration: a configurational perspective of human resource management. Journal of Management, 44(5), 1793-1818. 4. Waring, S.P., (2016). 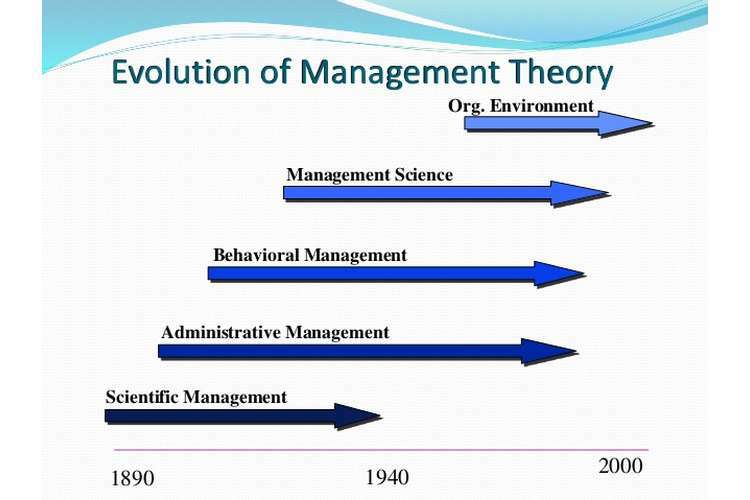 Taylorism transformed: Scientific management theory since 1945. UNC Press Books. 5. Durand, M., (2016). Employing critical incident technique as one way to display the hidden aspects of post-merger integration. International Business Review, 25(1), 87-102.